not since summer 2007, when the anya hindmarch oh-so-covetable 'not a plastic bag' was launched, have i been so enthralled by canvas. 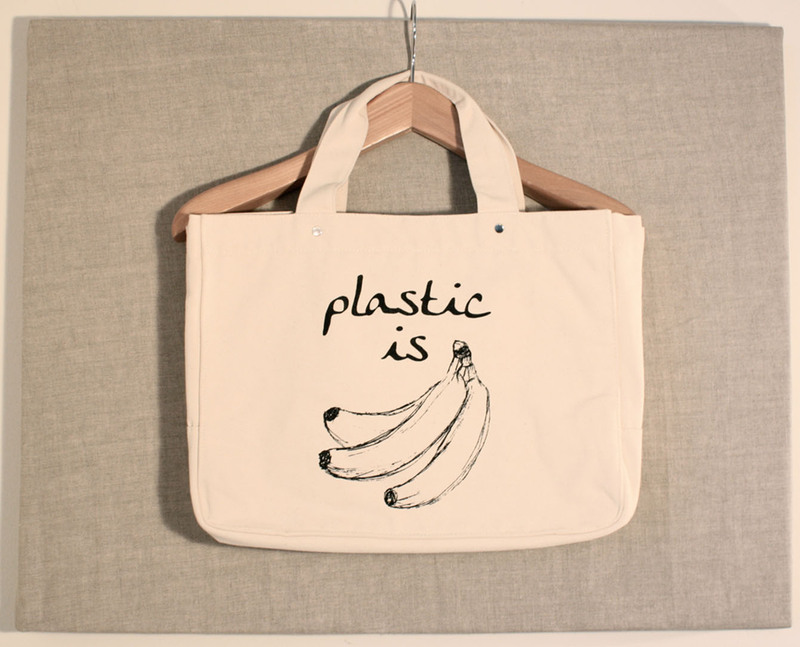 i have a whole host of eco-friendly bags draped over the back of my kitchen door that i drag to the shops with me and god knows i don't need another to add to the mix. but for some reason these one language little beauties have seriously caught my fancy and really think i would use them for so much more than just lugging my milk home from the local tesco. 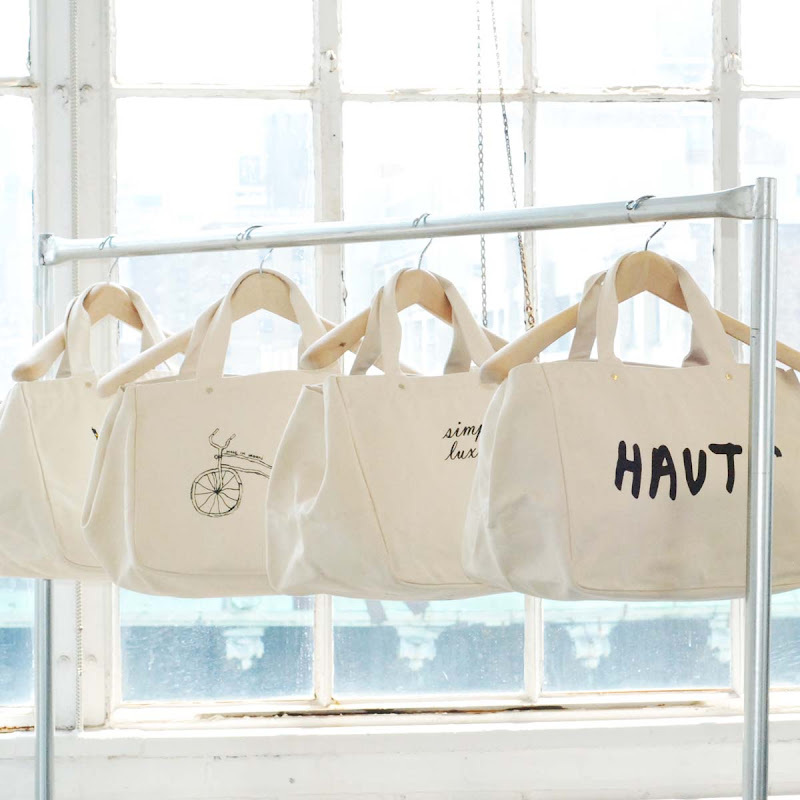 the little gems sprang forth from the creative imagination of two sisters living in New York who wanted to be earth-friendly but not sacrifice on style or quality and i think that is exactly what makes their bags so desirable. 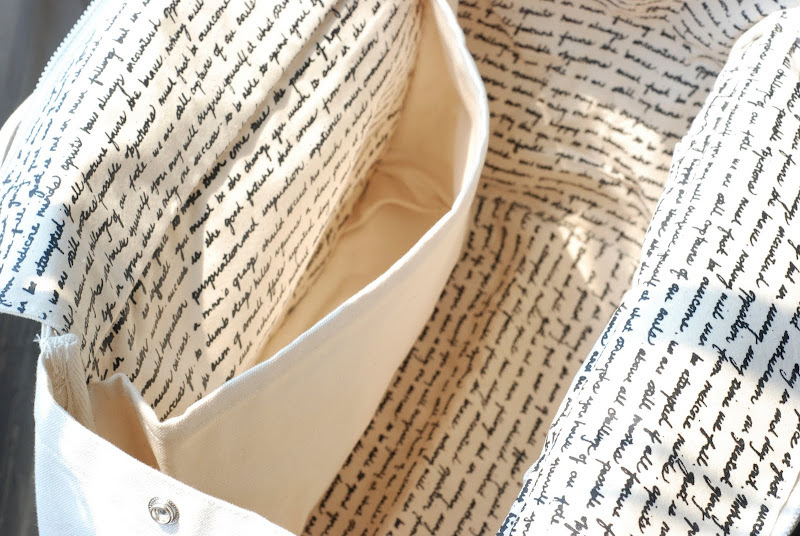 the short handles, shape, hand written inspirational quotes that line the interior, inner laptop sleeves, and quirky emblems make them so much more than just another eco-warrior's go-to bag. 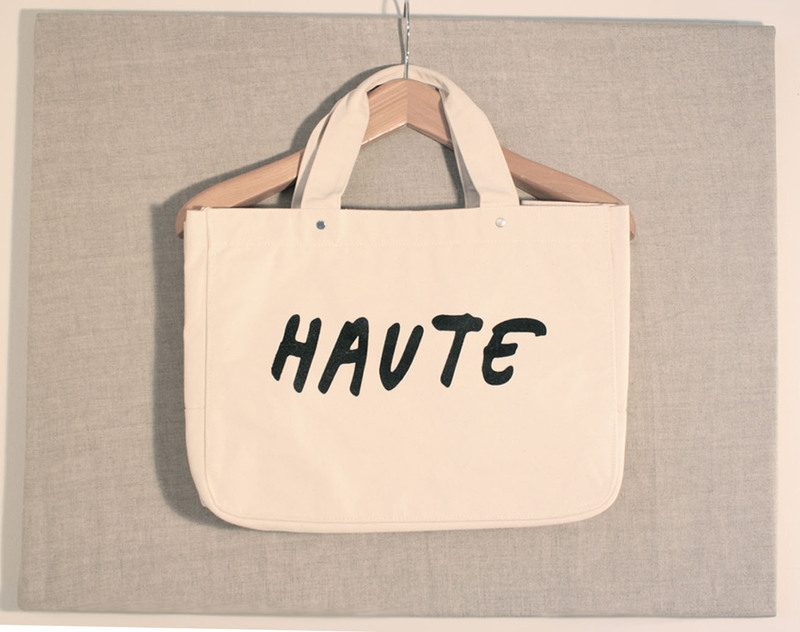 i am seriously craving the 'haute' one pictured above... it would be perfect to lug around my camera, spare shoes, and notebooks. plus, poking fun at the extortionately overpriced leather handbags most of the fashionistas around london sport is always an added bonus in my books. you can check out the whole collection here.